The Russian Ministry of Defence published exclusive footage of the massive Airborne Troops military drills that took place earlier this week. "#Exclusive Four days, four polygons, four massive drills," the MoD tweeted. — Минобороны России (@mod_russia) 30 марта 2019 г. ​The large-scale military exercise took place at proving grounds (polygons) in four regions of the Russian Federation: near the Ivanovo and Kostroma Oblasts, as well as near the cities of Yaroslavl and Nizhny Novgorod. 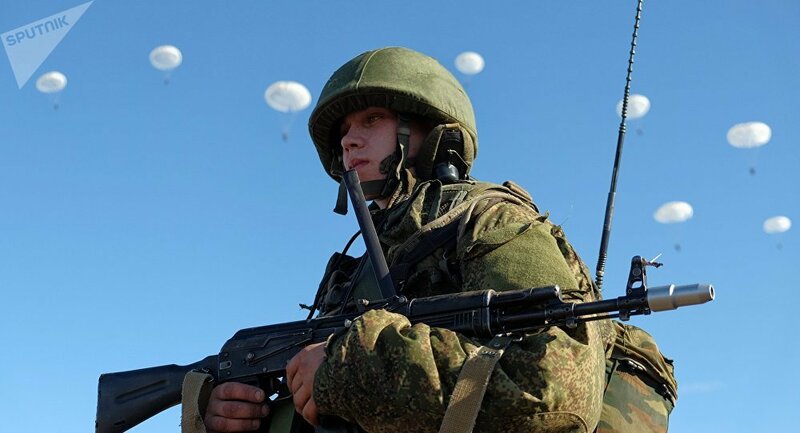 "Every time Airborne troops advance, the adversary has practically no chance," said Colonel Nikolai Choban, commander of the Ivanovo Airborne Division. "The paratroopers' actions were well-coordinated. Their actions, together with aviation, artillery and armored forces were well-coordinated and at a firm, good level," he added.